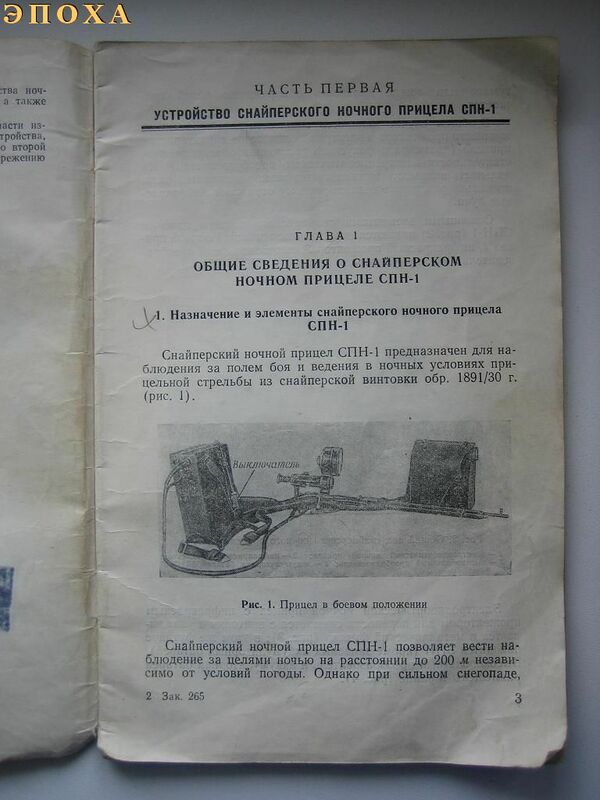 In the end of 1940-s was accepted to service first (except earlier test examples) soviet gun night vision scope – SPN-1 (СПН -снайперский прицел ночной) . 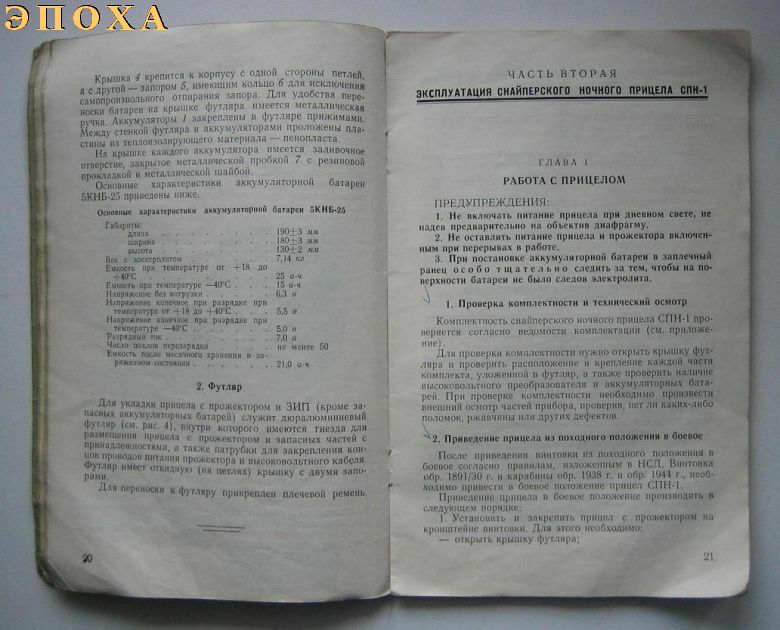 Most collectors know only about NSP-2, which was used with Kalashnikov, many polish copies of it are available at market. 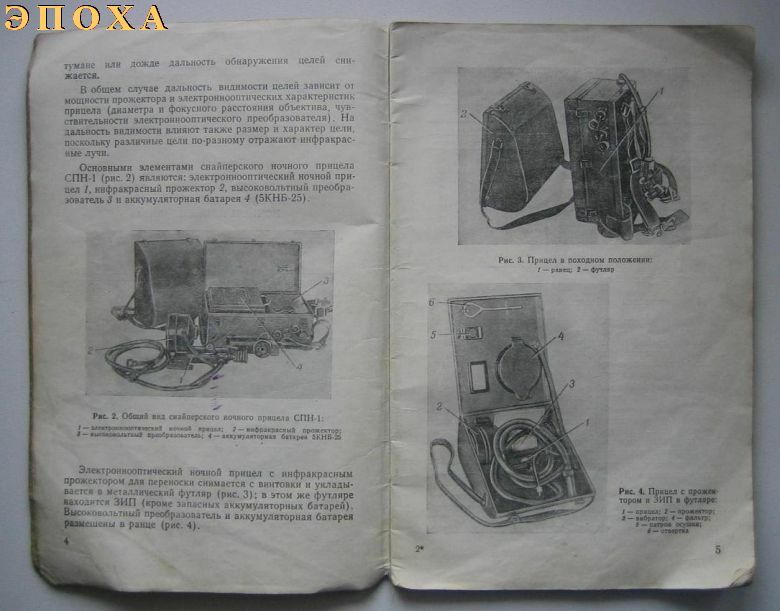 But first version of this scope was used with Mosin rifles. Distance of use was up to 200 meters with infrared illumination. Rifle need to be modified with a special base for scope mount. 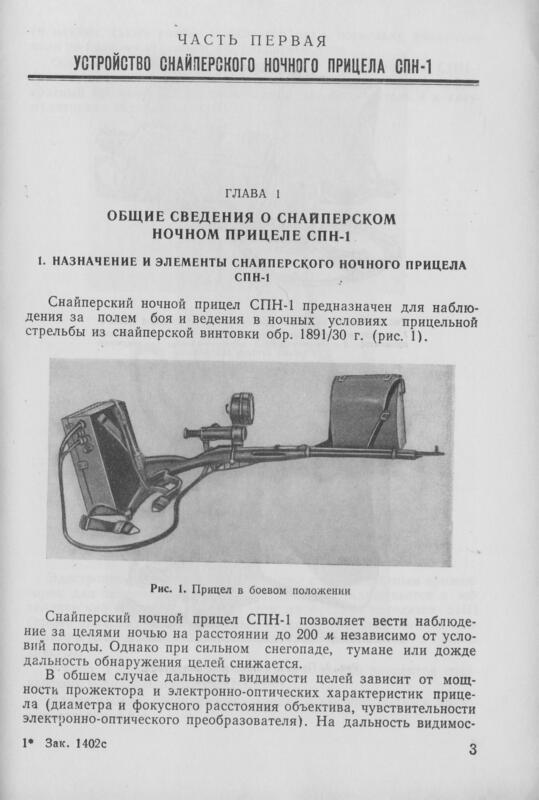 Great information on a historical rifle with the first use of a Nightscope sniper example use by the Soviet Union. I hope we can find a example of this scope and the mount used on this scope and the battery pact. 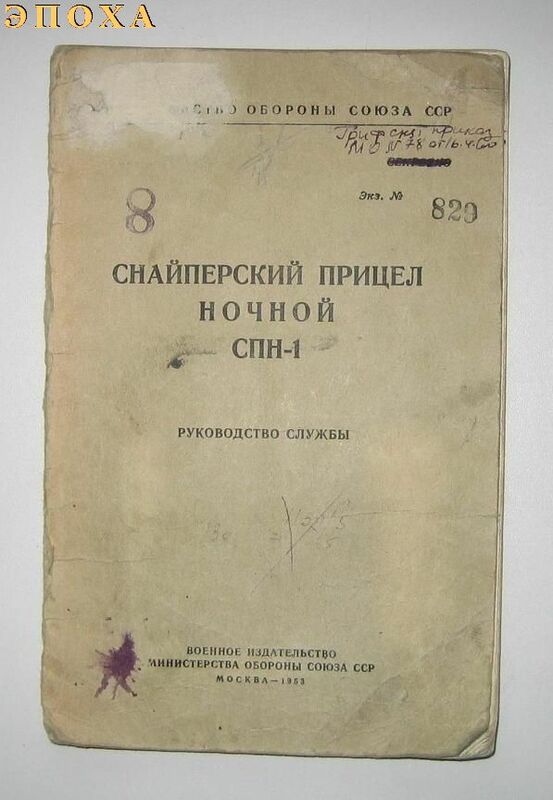 I am always surprised of the outstanding information that appears on your website for the collector of Soviet weapons and equipment.